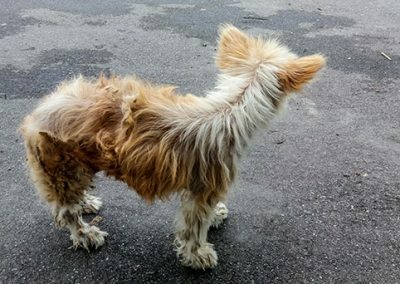 About a decade ago, when the stray dog problem was rising in the Eastern Foothills of West Bengal,the municipality decided that strychnine poisoning was the only solution to curb the population of stray dogs.However, with the Prevention of Cruelty Act, 1960,the same method used for poisoning animals was upgraded and later, when the Animal welfare Board of India issued a statement on the importance on ‘Animal birth control’, and that ABC programmes were the only way to stop the violence against animals by reforming the laws and making ‘ABC’ the need of the hour, animal birth control programme came into existence. 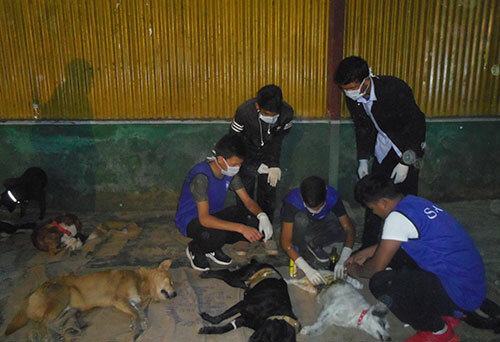 An animal shelter was founded in Kalimpong, and later Darjeeling in order to stop the poisoning of street dogs by implementation of an‘ABC’ programme. 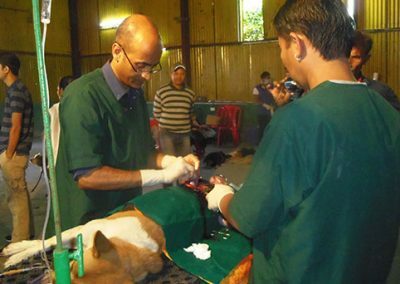 Since then,an effective Animal birth Control programme has been practiced in Darjeeling district, including outlying villages. In Kurseong, however (a small neighbouring town in Darjeeling District), with the help of Kalimpong Animal Shelter and Darjeeling Animal Shelter,a few supportive members from St. Alphonsus approached the shelters to request an ABC camp in the small town of Kurseong. 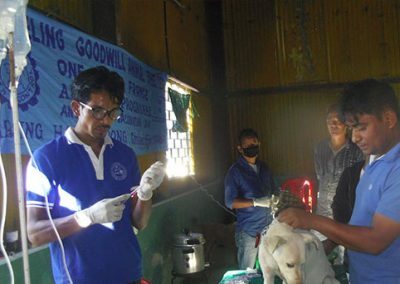 In the year2015, impelled by the initiative taken by the alumni club of St.Alphonsus an ABC camp was organised where 64 dogs were spayed and neutered.From then onwards, people started seeing changes in the dog population of Kurseong, and understood the effectiveness of ABC programmes though there were still many of the population that did not support ABC programmes (they would have preferred the dogs to be killed). 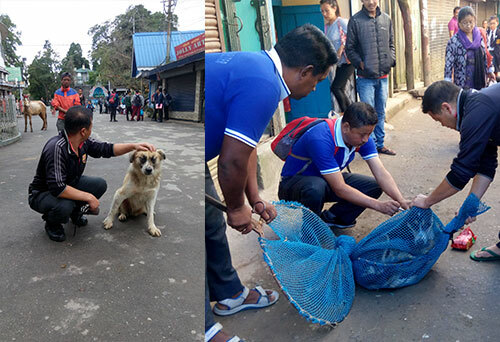 Therefore, after a gap of two years, in the year, 2017 the same club headed by Mr.Deepesh Pradhan and Mr. Angad from the alumni association of St. Alphonsus conducted an ABC camp in collaboration with Kalimpong and Darjeeling Animal Shelters.The camp was held on the 4th and 5th of November, 2017 with co-ordination and support from the Municipalityin a community hall. 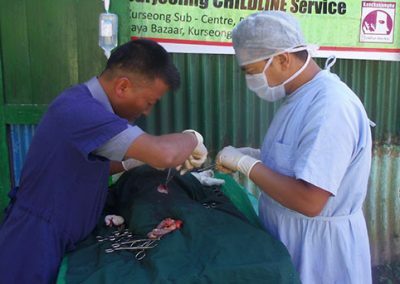 The alumni club of Kurseong promoted an ABC camp through the help of some reporters and local TV channels so that more peoplebecame aware of the scheduled sterilisation programme. Although, the main focus was on stray dogs, there were also plenty of owners of dogs who brought their pets for sterilisation. 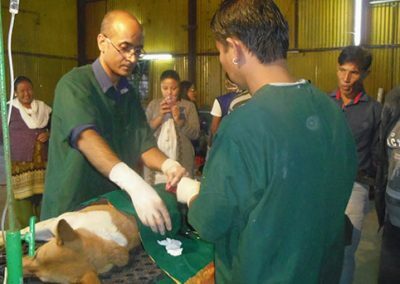 The shelter team led by Dr.D.P.Pandey and the former Vet-in-charge of Darjeeling Animal shelter conducted ABC for two days in a row. 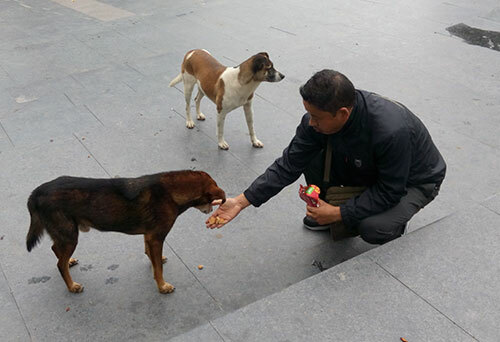 The local people were very grateful. 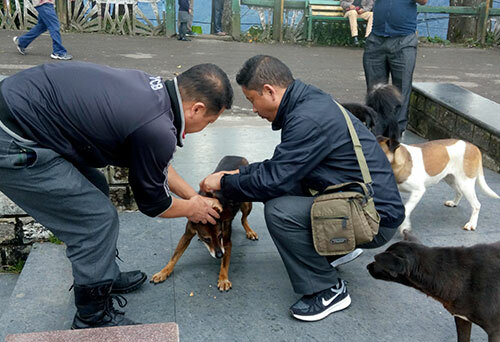 At dawn the shelter team had left in order to catch stray dogs; led by Mr.Angad, an alumnus of St.Alphonsus they visited some of the local spots where many dogs’ congregated.These dogs were caught from Kurseong town and as far as the railway station. 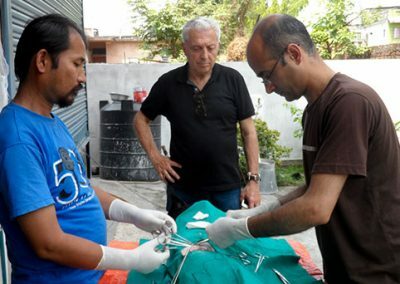 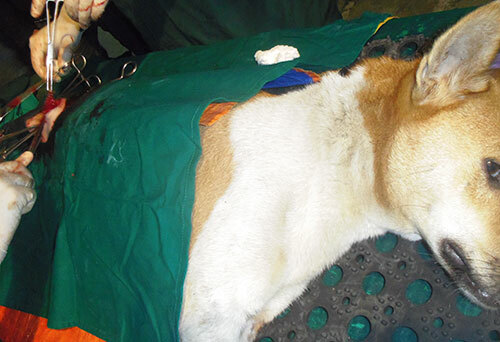 On the first day of the camp vets, Dr. Deo Prakash Pandey and Dr.Sameer Chettri spayed 42 dogs including owned pets. They worked all day until late evening, followed by 23 more operations the next day. 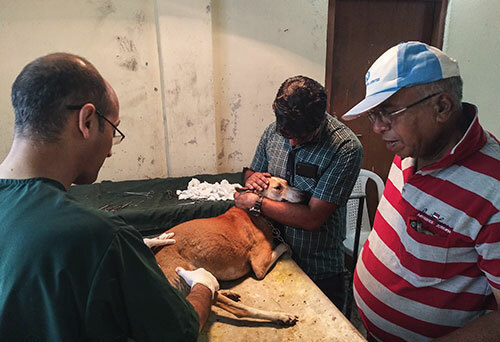 Animal birth control is crucial, for it not only helps animals’ live healthy and peaceful lives but also improves the human-dog relationship. Dogs feel more loved and respected by people, and the locals sigh with relief that the dogs that were breeding and carrying numerous litters are now free, and in turn there will be less menace faced by society. 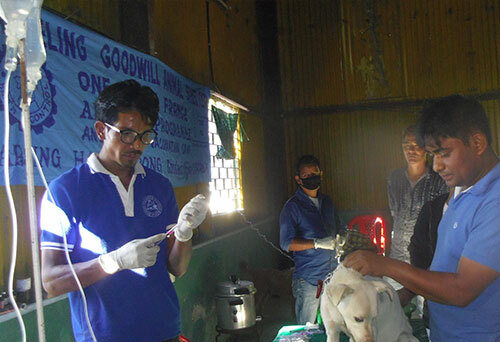 Another important aspect of ABC is that all dogs are vaccinated against rabies which is a fatal disease. 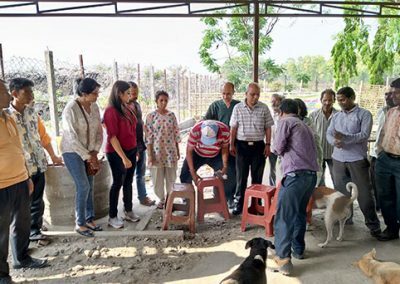 India has had problems with rabies with an estimated 20,000 human deaths every year.Thus,when camps are conducted rabies shots are administered to stray dogs, and awareness is spread amongst all. 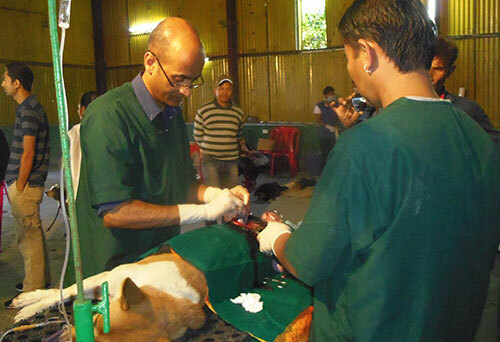 Therefore the camp at Kurseong was very successful, thanks to the hospitable alumni team and their concern for the dogs. If more camps could be conducted at Kurseong, the stray dog population would be reduced, and furthermore, dogs could thrive in the small and beautiful town of Kurseong. 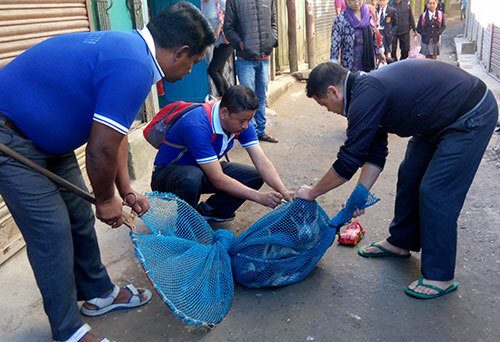 As Kalimpong headed towards the movement for a separate statehood, the inconvenience faced by the locals were way too much, and in the middle of the imposed indefinite strike, it was not just people who struggled for food, but animals too. 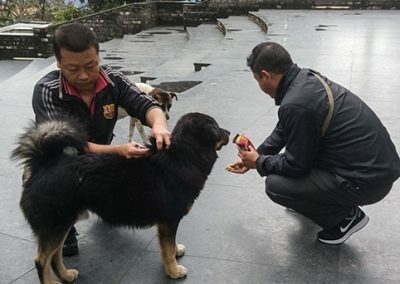 It was a difficult feat to succumb but with the support of a few, the shelter could still run well despite the upheaval. 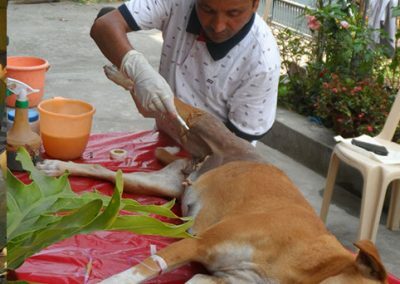 Kalimpong animal shelter which solely stands for the voiceless has many responsibilities to fulfill and ensure that all animals live a peaceful and healthy life. 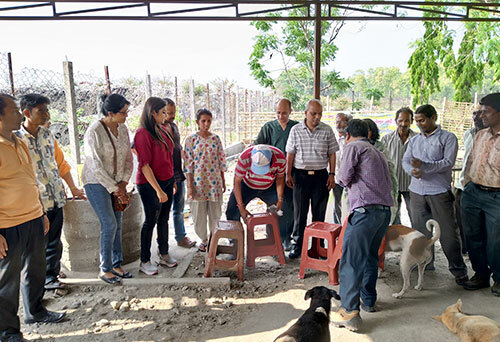 It is not only that but, the shelter has another important aspect to look at i.e., animal birth control camp which is very crucial for the animals. When the indefinite strike continued in the hills, the scheduled ABC camps had to be postponed, there was no respite from the turmoil caused by the indefinite strike, and everything came crumbling down. 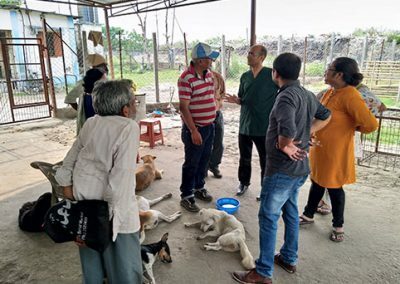 It was only months later when the agitation was still continuing in the hills, the shelter team risked it all considering the problems faced by people in the gateway city called, Siliguri due to stray dog menace. 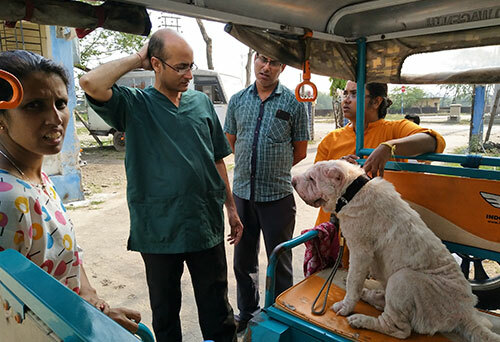 So, it was imperative to reach out to the city and perform spays on stray dogs rescued by the Siliguri animal helpline team. 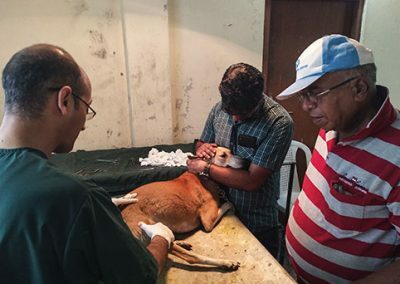 The shelter staff started early in the morning and having reached the gateway city by late morning, they performed spays and neuter on these rescued animals. 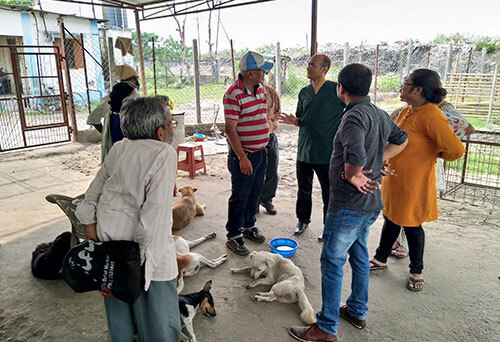 The camp was held on the 24th of September at the sterilization centre near Don Bosco School in Siliguri for two days in a row and the shelter Vet-in-charge, Dr.D.P.Pandey and his team worked hard even in the blazing sun. 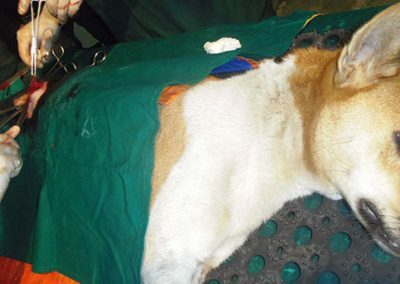 The total number of dogs spayed the first day rose to 23 dogs and, subsequently, 10 more dogs, the other day. 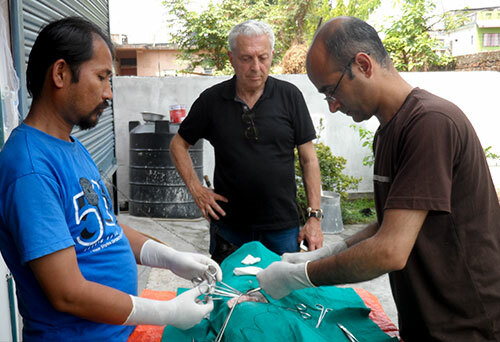 The camp was very fruitful and definitely a strenuous one as well and, with each staff fearing at the back of their mind on returning home, to the place where terror had broken out. 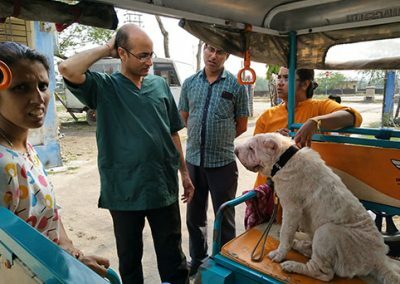 The shelter staff even in the middle of ongoing protest traveled long distance risking it all only to save the animals from multiplying and curb the menace caused by those strays in the locality.